Being told that you need to wear hearing aids can come as quite a shock, especially if you’re a young adult, but the fact of the matter is that they will benefit your daily life in a massive way. To feel their full potential, however, it’s imperative that you take the necessary steps to receive the best hearing aids for you. There are many great options out there and a professional audiologist can talk you through the pros and cons of every type and model. Nonetheless, it’s important to be sufficiently prepared by doing a little research of your own, which includes answers to your questions about hearing aids. Why is it so important to choose the right hearing aids? Generally speaking, all hearing aid devices serve the same purpose in that they are designed to promote clearer hearing for the user. However, the difference in comfort, performance and features can vary massively depending on the choice of model. Likewise, the costs and ongoing maintenance needs can change too. Quite frankly, then, only the best will do. What are the different hearing aid types? 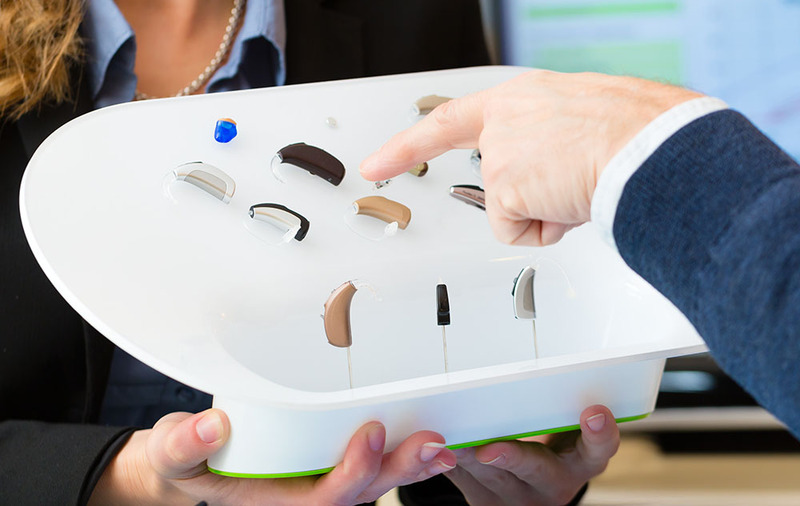 While there are many different factors to consider when choosing your hearing aid devices, finding the most suitable hearing aid style should be the first item on your agenda. Special features can be worried about later on. BTE hearing aids are very common and form the standard image that people have of hearing aids. The main casing sits behind the ear and is connected to the ear by tubing and a mold or tip, which then transmits the sound to the ear canal. Advanced options are far less visible than in previous years, while mini BTE devices include slim tubes and tips for an even more hidden appearance. ITE hearing aids are worn in the outer ear bowl and come in half and full shell varieties for added comfort. Full shell and half shell ITE products are built to fit inside the earl bowl. They are ideal for mild-to-moderately-severe hearing loss and their size allows for extra features and easier handling. ITC devices are the smallest available on the market and come in three different variations, in the canal, completely in canal and invisible in canal. While all of these options are small, the difference includes sizing and the location of the device in the canal. Invisible hearing aids are worn deeper in the canal, making them fully discreet, while in-the-canal styles sit closer to the ear opening. These styles are ideal for individuals with mild-to-moderate hearing loss and offer a natural listening experience because of their location in the canal. However, individuals with dexterity issues may struggle to handle these properly when changing the batteries or cleaning the device. Finding the right hearing aid device isn’t all about a type that works for your hearing profile and daily lifestyle. You’ll also want to consider additional features that may be useful. The technology has evolved at a rapid rate in recent times and a number of special features can be added to your device. Bluetooth capability: connecting the device to televisions, radios and doorbells can make life a lot easier for the hearing aids user. White noise: if the user has tinnitus, playing white noise or soothing sounds through the device can have a hugely positive influence. Wind reduction: if you often find yourself working or spending a lot of time outside, cutting out the sound of the wind may aid as you try to follow conversations. Of course, the features can be influenced by the choice of brand and model. The audiologist can talk you through the various options along with the costs. Book your hearing test or hearing aid fitting appointment today? Whether you believe that you might have hearing loss or have already been diagnosed with an issue, Carolina Hearing Services are here to help you hear things more clearly. Our highly skilled, friendly and caring audiologists are spread out across five centers throughout the state and can support you along every step of the journey.